Starting on the first Sunday after Labor Day in September, and continuing each week through the second Sunday in June, our community members come together on Sunday mornings to celebrate life. We participate in Unitarian Universalist rituals, we recite familiar words, sing songs, listen to the words of our friends and our Minister, listen to great music. We read to the children, we read to each other. We feast our eyes on beautiful flowers brought to the sanctuary by members. We welcome all people interested in pursuing the journey toward a spiritual life to join us in our Sunday celebrations. We come together at 10:30 a.m. (except in the summer when we meet at 9:30 a.m.), and enjoy a social hour in the parlor after the service. Come early and join in the setting up – all hands are welcome. Sunday services are planned by the Celebrations Committee, working in cooperation with our Minister. From time to time, worships incorporate holiday celebrations, multi-generational services, longer musical performances, child dedications, and coming-of-age ceremonies. We offer childcare and religious education programs for children and youth during the Sunday service. Children are always welcome at our services. The service is broadcast into our Parlor, if you find your child needs a little more wiggle room than the Sanctuary provides. We also offer nursery care for babies and toddlers during the service, and our outstanding Religious Education (RE) program covers preschool through high-school aged children. Note that the children’s Religious Education classes often involve crafts or other potentially messy activities, so visiting youngsters should dress accordingly. Help us to welcome you by name! Our custom is to wear name tags at all gatherings. On your first visit you may choose to write your name on a special guest name tag. When you feel comfortable, you may request a permanent name tag by filling out a yellow pew card or inquiring at the Welcome and Information Table. Our Membership Coordinator, Beth Pallacel, is a great resource for learning more about our community. 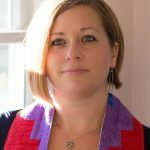 You may contact her via the church office phone system – 607-273-7521, x24 or via email – memcoord@uuithaca.org, or in person on Sunday mornings.